Peter Minnett is a Professor in the Department of Ocean Sciences at the Rosenstiel School of Marine and Atmospheric Science, University of Miami. His research is primarily concentrated on satellite remote sensing of the sea surface (especially in the infrared), microscale effects occurring at the sea surface, diurnal heating of the upper ocean, and the physics of the Arctic. Minnett teaches courses on the Physics of Remote Sensing, Applications of Remote Sensing, and Polar Science. He advises graduate students in the Meteorology and Physical Oceanography and Ocean Sciences programs. Minnett has been involved in satellite oceanography for over thirty years, with his main focus on the remote sensing of the sea-surface temperature from satellites and ships. Over the years he has been involved in the specification and development studies of several satellite instruments, starting with the first Along-Track Scanning Radiometer that flew on the ERS-1 Satellite, launched in 1991, and through to METImage, due for launch on 2022. Minnett studied Physics at the University of Oxford and received his PhD from University of Southampton, both in the UK. Minnett joined the faculty at the University of Miami in 1995, where a major focus of his work is on determining the accuracies and uncertainties in satellite retrievals of surface temperature, and how to improve these. He and his research team have participated in many research cruises, spanning the Southern Ocean to the Arctic Oceans. His high latitude research has also been directed to the surface heat budget and the effects of cloud radiative forcing. Since 2000, Minnett has been awarded three Group Achievement Awards and one Outstanding Teamwork Award by NASA for his work on satellite oceanography. He has also received an “Excellence in Partnering Award” by the National Oceanographic Partnership Program. Minnett was awarded The University of Miami Provost’s Award for Scholarly Activity in 2016. In 2008 Minnett was elected Chair of the Division of Meteorology, a post he held for over six years, and subsequently served for three years as Speaker of the Rosenstiel School Council. He was elected as Science Team Chair of the international Group for High Resolution Sea-Surface Temperature (GHRSST) for a five year term, and for four years was Leader of the Climate Data Records of Sea-Surface Temperature Team of the International Space Science Institute, Bern, Switzerland, and he is currently a member of the Scientific Steering Committee of Surface Ocean Lower Atmosphere Study (SOLAS). In the past he was a member of the Earth Science Council of the Universities Space Research Association, of the Arctic Icebreaker Coordinating Committee of UNOLS, and served as a Board Member of the Arctic Research Consortium of the U.S.
Minnett and his team deploy very well calibrated Fourier Transform Infrared Interferometers on ships to measure the emission spectra from the ocean and atmosphere from which several variables can be derived, importantly the skin sea-surface temperature of the ocean. These measurements are used to assess the errors and uncertainties of surface temperature retrievals for a number of US and European satellite instruments. To understand the sources of inaccuracies in the satellite data, a suite of other instruments are used to characterize the ocean surface and atmospheric state. These data sets support research into the physics of the ocean surface and of air-sea exchanges. 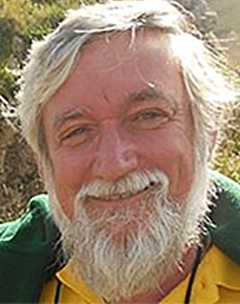 Minnett is an Associate Editor of Remote Sensing of Environment, the premier journal for remote sensing, and of Surveys in Geophysics. Minnett was Editor for the Oceans and Cryosphere sections of the recently published Encyclopedia of Remote Sensing and for Satellite Remote Sensing in the Encyclopedia of Ocean Sciences, 3rd Edition. He has taught at several Summer Schools, including two on the Russian Icebreaker Kapitan Dranitsyn and at the Arctic and Antarctic Research Institute, St Petersburg, Russia. He was a lecturer at the ESA Summer School on Monitoring of the Earth System at the European Space Research Institute, Frascati, Italy, and taught short courses at the University of Cape Town, South Africa, and at the Ocean University of China, Qingdao, China. Minnett has co-chaired two joint US-Swedish workshops on the scientific use of the Swedish icebreaker Oden, and has been on the organizing committees of numerous international workshops and symposia.